I love the balance of the wine industry. Darice has always been fascinated by robotics and would love to design products than enable efficiencies. 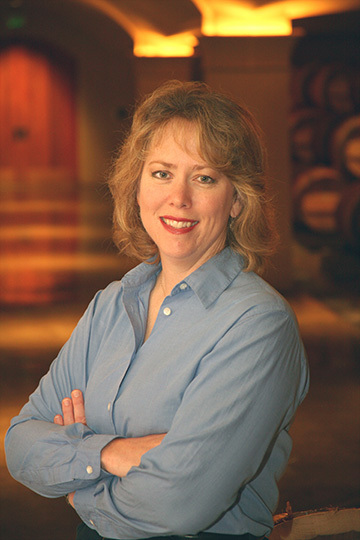 Napa has been my home since 1972, so I moved back after college and started in the industry as a harvest intern at Inglenook. During the 1990s, my favorite wine was Insignia. It was my first-place wine in blind tastings and the one that I always took home. I couldn’t get enough of it. Dirk Hampson has had the most influence on my approach to crafting wine. He has always inspired me to “take the chance” on new ideas, which has led to an amazing wealth of knowledge. I love the balance of the wine industry. It combines agriculture, science, creativity and joyous social events that no other industry has to offer. It is very dynamic in all aspects of the business, which is stimulating, challenging and rewarding. As much as we love to romanticize wine, we must remember that this is an agricultural industry and that we are at the mercy of Mother Nature. The greatest challenge is being able to quickly adapt to what Mother Nature has to offer in any given year. The diversity of our soils and the unique microclimates of the Napa Valley produce a plethora of different wines. However, the topography, climate and marine influence offer the perfect conditions for ripeness, producing superior wines from all of the appellations within Napa Valley. Our winery views sustainability as essential for the future. The winery is solar-powered, our vineyards are farmed organically and we recycle wherever possible. Since Nickel & Nickel only produces single vineyard wines, our winery offers the perfect exploration of Napa Valley. Our wines are 100% varietal, and they provide a clear picture of 19 different vineyards among most of the appellations in Napa Valley - north to south, east to west. I’ve always had a fascination with robotics. I would love to design new products that help people or efficiencies within an industry. My husband proposed to me underwater while scuba diving. It’s a great story.